Michael has nearly 20 years of experience in private practice and in-house at both a large, full-service broker-dealer and at an online discount broker-dealer, advising broker-dealers and other financial institutions regarding compliance with the federal securities and commodities laws, and with the regulations of the US Securities and Exchange Commission, the US Commodity Futures Trading Commission and financial industry self-regulatory organizations. Michael has advised clients with respect to a wide range of regulatory matters, including sales practice, supervision, know-your-customer, registration, anti-money laundering, best execution, reporting and privacy obligations. His experience includes drafting, implementing and maintaining comprehensive policies and procedures designed to ensure compliance with applicable legal and regulatory requirements; training broker-dealer personnel with respect to those applicable legal, regulatory and firm-initiated obligations; drafting and negotiating customer agreements, vendor agreements, prime brokerage agreements, clearing agreements, settlement agreements and many other types of agreements; representing financial industry participants in regulatory investigations, federal and state court litigation, and industry-sponsored arbitration matters; and conducting internal investigations. 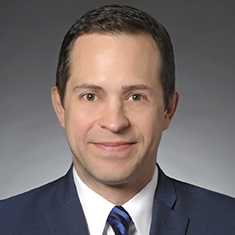 Michael previously spent seven years at UBS Financial Services Inc. where he worked in several capacities, including as the legal counsel for the Midwest Region which included more than 50 retail branch offices and in excess of 1,000 employees. More recently, Michael served as the sole legal counsel to that firm’s equity compensation administration, Rule 10b5-1 trading, middle markets fixed income and discretionary cash management businesses.